Home / We’ve got lobster! Have you seen these little guys hanging around in auctions lately? We recently started rolling out various lobster packages from Get Maine Lobster, and so far they have been a hit! 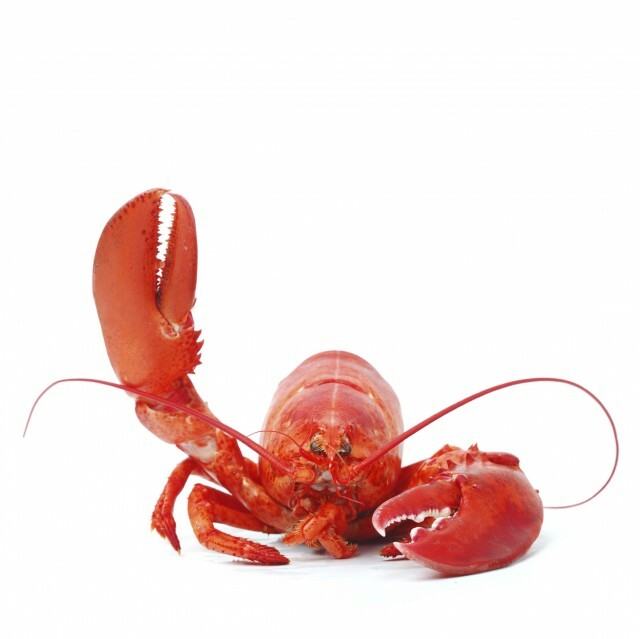 We now offer everything from lobster tails, live lobsters, stuffed lobsters, lobster rolls, lobster cakes, and much more! 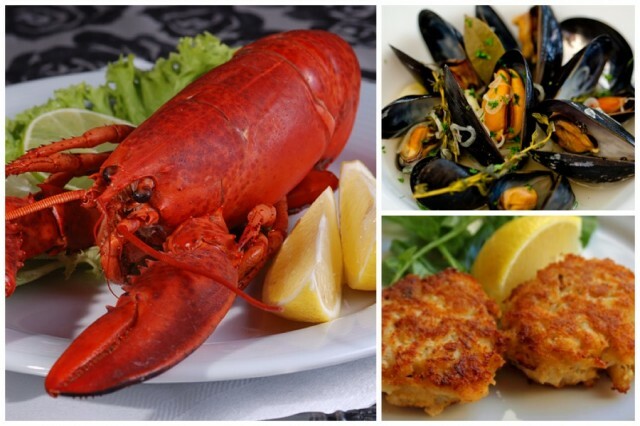 Keep reading to see just a few of the lobster packages you can find on QuiBids. Click the images to go to the item’s product page. Be sure to use the Pinterest buttons so you can save your faves on your Pinterest boards! Includes four (4) Jumbo 8-10oz Maine Lobster Tails, one (1) quart of Maine Clam Chowder, and four (4) Jumbo Whoopie Pies. Bid in auctions or buy now from the QuiBids store for $240.00 and receive 24 Free Bids! This set is all the best flavors you could ask for in an appetizer. 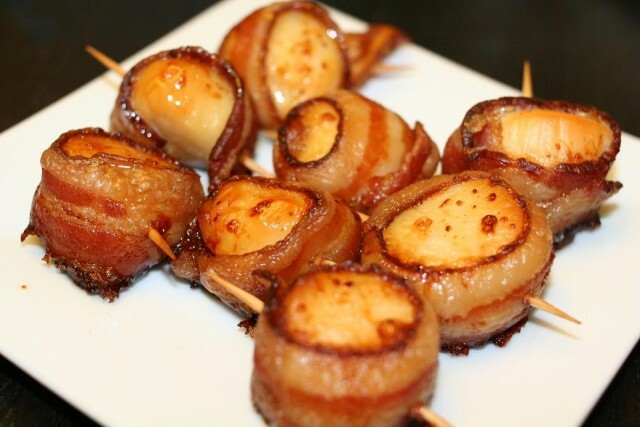 It includes 2 pounds of bacon-wrapped Maine Scallops (approx. 18-20 scallops per lb), and 4 oz. of Chef-made Maple Butter. Buy now from the QuiBids store for $149.99 and receive 15 Free Bids! 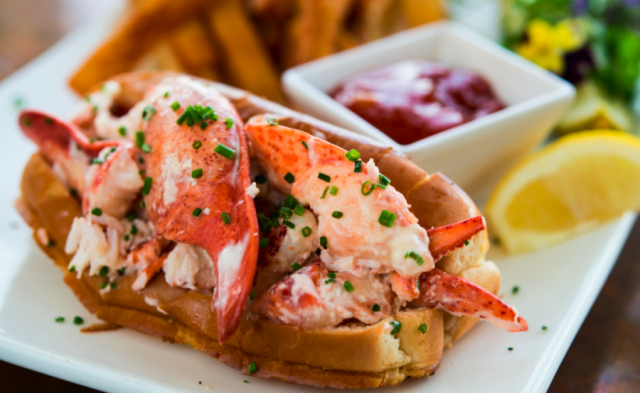 The best Maine Lobster Roll ever, delivered to your doorstep and no cooking required. Makes six rolls. Buy Now from the QuiBids Store for $199.00 and receive 20 Free Bids! This package contains ten frozen Maine Lobster Tails. Bid or buy now from the Q store for $229.00 and receive 23 Free Bids! 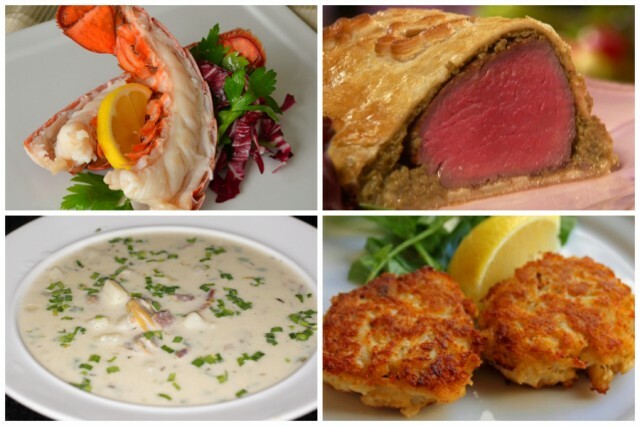 The Lobster Tails & Beef Wellington package contains two (2) 3-4 oz wild-caught Maine Lobster Tails, two (2) Classic Beef Tenderloin Wellington (9 oz), two (2) chef-made Maine crab cakes, and one (1) quart chef-made Maine clam chowder. Buy now from the QuiBids Store for $149 and receive 15 Free Bids with your purchase! 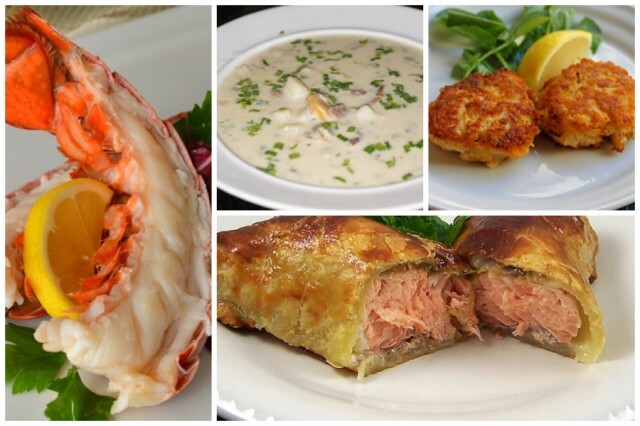 The Lobster Tails and Salmon Wellington dinner package contains four (4) 3-4 oz wild-caught Maine Lobster Tails, four (4) classic salmon wellington (8 oz), four (4) chef-made Maine crab cakes, and one (1) quart of chef-made Maine clam chowder. Bid on this package in auctions, or Buy Now from the QuiBids Store for $139 and receive 14 free bids! 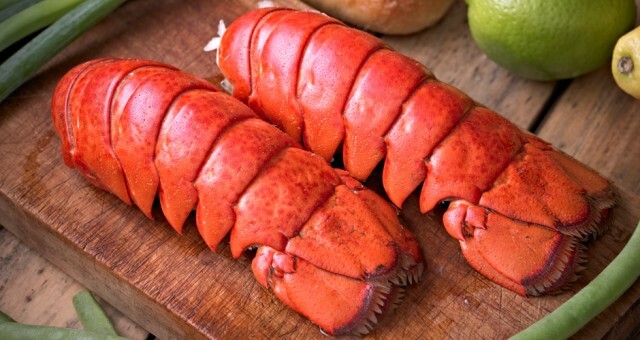 This stuffed Maine lobster dinner comes with four (4) 4-5 oz Maine Lobster Tails, 1 lb. 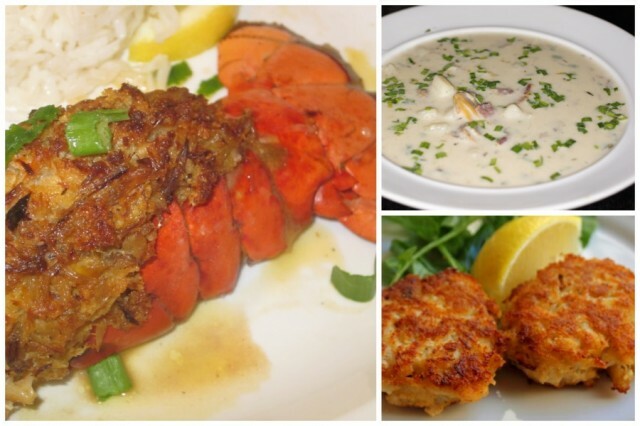 Get Maine lobster seafood stuffing, four (4) Margaret’s Maine crab cakes, and one (1) quart Maine clam chowder. Buy now from the Q store for $199.99 and receive 20 free bids! 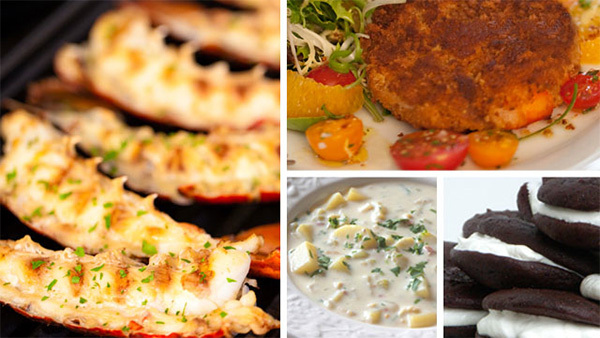 This package includes everything you need to start your seafood feast off right. 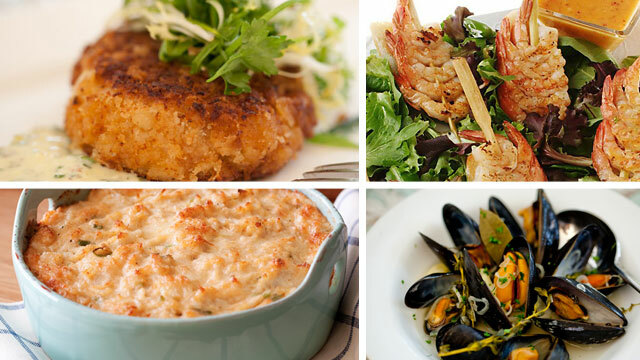 It includes 2 lbs frozen mussels, one (1) crab dip, one (1) lobster dip, four (4) crab cakes, and five (5) shrimp skewers. Buy it now from the QuiBids Store for $169.99 and receive 17 free bids! You don’t have to live in Maine to enjoy fresh Maine Lobster. This dinner for two is perfect for a romantic evening for two. It includes two (2) 1-1.25 lb Live Maine Lobsters, 2 lbs Live Maine Mussels, and two (2) Jumbo Maine crab cakes. Buy this package now from the QuiBids store for $139.00 and receive 14 free bids! Looking for a fresh and LIVE 2 lb lobster? We offer your choice of packs of 2, 4, 6, 8, 10, or 12. Find these packages in auctions, or you can buy now from the QuiBids store for $179.00 (for a 2-pack) and you’ll get 18 free bids with your purchase! 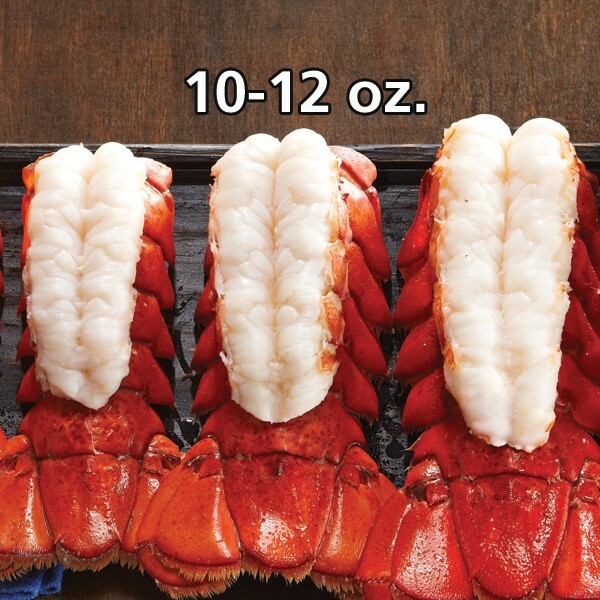 Enjoy six (6) quality 10-12 oz frozen lobster tails straight from the waters of Maine. Buy now from the Q store for $179.00 and receive 18 free bids! Enjoy ten quality lobster tails freshly caught and shipped directly to your door. Buy now from the QuiBids Store for $299.00 and get 30 free bids! And here’s a popular tune that can be your background music while you bid on one of the lobster packages above. TIP: Don’t be shellfish with your wins! Invite your friends over and have a lobster party and maybe later you could sit down for an episode of Claw and Order. (sorry we couldn’t help it). *Products are currently available for US bidders and are subject to availability and other market limitations. Win a Lobster Package from QuiBids for Columbus Day!